Competent? Says Who? Researchers explored the cultural competence of healthcare organizations through the lens of 3,500 healthcare employees, instructors, trainees, and students. LGBT personnel were less likely than their non-LGBT colleagues to say that their organization was “above average” on cultural competence, and the same trend was true for Black versus White professionals and for women versus men. Three in Four Know Status UNAIDS published a report finding that 75% of people living with HIV globally were aware of their status as of 2017, marking an improvement from just two years before, when that number was 67%. While the number of people who are virally suppressed has also risen to 47%, that still leaves 19.4 million people living with HIV who do not have a suppressed viral load. Bisexual Adults at Risk for Opioids A new study found that bisexual adults faced 1.66 times the risk of misusing prescription opioids within the past month compared with heterosexual adults. The researchers said in a statement that bisexual women were at particularly high risk and recommended that providers, educators, and families consider sexual orientation when assessing risk of misuse and need of support. Prospective Parents Lack Protections Center for American Progress published a report finding that many privately operated foster and adoption agencies (particularly faith-based) do not have an LGBTQ nondiscrimination policy for prospective parents. They also note that there is a significant shortage of such parents, as 20,000 youth age out of the foster care system each year having never found a permanent home. 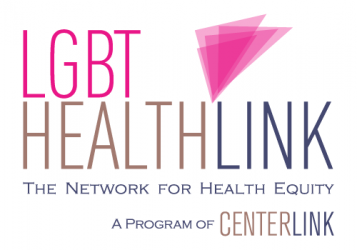 Healthcare Beyond the Binary A study explored the stigma and victimization that nonbinary people can face in getting access to care, and what healthcare professionals can do to help. Through a case study, the article explores how to correctly use nonbinary pronouns (like they / them / theirs), navigate insurance issues when preferred names and gender markers do not match official records, and other issues. Marriage’s 15th Anniversary NBC News reported on the 15th anniversary of the court case that allowed for marriage equality in Massachusetts, which in 2003 became the first state to do so. The lead couple in that historic case cited being denied hospital visitation rights as one of their motivating factors to get wed. Meanwhile, migrant couples in Mexico celebrated a joint marriage ceremony that they said would have been too dangerous in their home countries due to social stigma and violence. Previous Post Happy Holiday #LGBTWellness News to All!